Eddie Fahmy Info - A2Z Restaurant Consulting. A2Z Restaurant Consulting CEO Eddie Fahmy is a seasoned industry executive whose experience in the field spans four decades. His unmatched work ethic, drive, and measured aggression are readily on display: he simply does whatever it takes to get the job done correctly. Whether appearing to promote a client’s venue, promoting new concepts, or Getting an ‘A’ rating for your venue, Eddie is the consultant, Eddie is the guy they call. Always ahead of the trends, Eddie scans trade magazines, blogs, and social media accounts of highly-regarded industry personalities, as well as hip up-and-comers from around the world. He gleans the freshest ideas from these sources, adopting them with an innovative twist or incorporating them into inspiring concepts of his own. 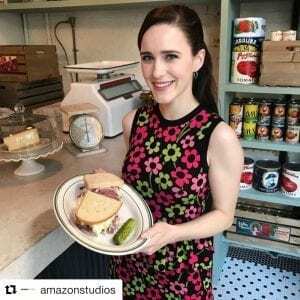 In December 2018, he was tapped by Amazon Prime to manage the creation of a ‘pop-up’ Carnegie Deli in NYC for 10 days for video channel’s The Marvelous Mrs. Maisel season two promotion. He built a staff that served 15,000 people! He is driven to implement cutting-edge promotions, procedures, policy, or design, and then watch the impact it has on clients and customers alike. Adept at sidestepping revenue-threatening pitfalls, he helps navigate those pitfalls while outmaneuvering vendors looking to overcharge his clients. First-hand experience has value. Eddie’s initiation into the restaurant industry came when he was just 14 years old working as a busboy and food runner, and then at 16 he graduating to waiting tables. Employed at resorts in Miami Beach in later years, he even tended to comedian Jackie Mason and his family throughout a weeklong Passover retreat. In the mid-90s Eddie invested everything he had into a broken down space in Marine Park, Brooklyn. it was transformed into a beautiful, beloved bayside grill called Skippers. He immersed himself in the business, learning how to manage every aspect of the business. He effectively motivated his staff, developed marketing campaigns and promotions, and exhibited the vital interpersonal skills in dealing with property managers, vendors, contractors, producers, and other industry stakeholders. 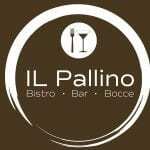 Eddie has been involved with a number of restaurants, bars and nightclubs located in the tri-state area, as an owner, manager, consulting, and other capacities. Just ask him about them, and he’ll gladly tell you stories, making it abundantly clear how much he loves going to work every day. 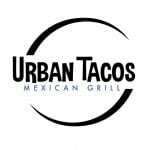 He played an integral role in the conception of a 7,000-square-foot Long Island sports bar named BottomzUp, later bringing the brand to the East Side of Manhattan where it enjoyed a successful run. 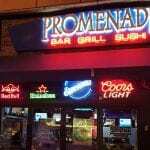 When the city objected to the Hooters-style bar, wanting more of an eatery, he quickly rebranded it to Promenade, again having a successful run. Eddie contributed to venue’s design, logo, and the building of vendor relationships for Kings Kitchen, a Caribbean restaurant in Brooklyn. 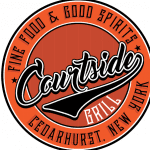 He consulted with Courtside Grill in Cedarhurst, New York; Big Bang Burger on Manhattan’s Upper West Side; Il Pallino, a 6,000-square-foot venue with indoor bocce ball courts in Staten Island; Katch Sports Bar & Grill in Astoria, Queens; and PortuGrill, a fast-casual Portuguese concept specializing in Piri Piri grilled chicken in NYC. References are available upon request, and he looks forward to working with you.